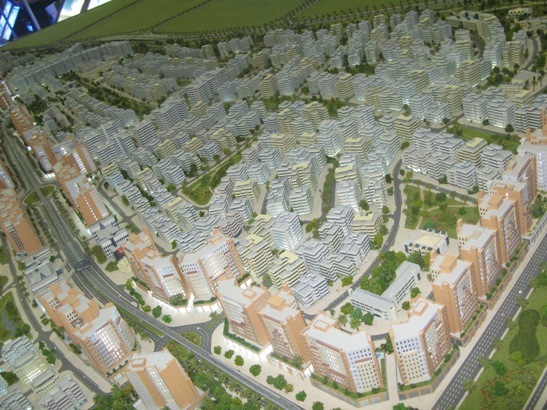 The Institute’s flagship project is to support Government prepare ambitious urban master plans that will transform parts of the lower Western Region into world-class cities where residents live the highest quality of life. Three cities shall be built over a period of 20 years, one after the other and balancing demand with supply. The program shall target Agona, Cape Three Points, Princes Town, Axim, Asiama, Nkroful, Half Assini, among others. The cities shall be designed to hold up to one million people each. With China building 220 cities over a period of 20 years, it is appropriate for Ghana to target at least 20 cities using similar strategies adopted in China. An initial amount of US$15 billion shall be invested in the programme which will include new industries to drive the infrastructure programme. Prior to constructing the infrastructure, inflows and receipts from the sale of land will finance an integrated iron and steel processing plant at Oppon Manse, cement plant at Nauli in Nzema, aluminum processing plant at Awaso, rubber plant at Bonsa and glass plant at Aboso. There shall be industries to manufacture tiles, tapping into large clay, limestone and granite deposits in the country. Mining tailings from old sites in Tarkwa, Prestea and other mining towns shall be credited as aggregates for housing and construction works, among others. With an initial area of 100 square km from each of the three locations, an amount of $15 billion shall be invested over 8 years, half of this amount raised from land financing, and the rest raised from bonds and stocks, microfinance, credit system, equity holdings and Direct Foreign Investment.. Ghana shall also take up loans and the only legitimate reason for taking on debt is to create wealth. The cities shall benefit from massive infrastructure and manufacturing establishments, with world-class medical, sports, cultural and eco-tourism facilities, underpinned by significant economic and employment generation activities. The Kundum festival shall be raised into an international phenomenon, marking a key activity on the calendar of tourists. The Sports City shall be an integrated settlement where one can live, work, learn, play and watch sports. With a year round calendar of sports and entertainment, the Sports City shall be an international centre of attraction. Featuring leading sporting academies, state-of-the-art-stadiums, open tennis and golf courses, the city shall be Ghana’s most active lifestyle community. A Building Materials city shall be designed to gather a huge number of companies that manufacture building materials. Materials that will be manufactured include several varieties of indoor and outdoor tiles, steel and aluminum products, PVC products, timber veneer and furniture, plumbing and electrical products, ironmongery and glazing products, household appliances, etc. The launch of Building Materials City shall mark the beginning of an astounding growth of Ghana’s real estate industry. An Industrial Growth zone equipped with superior facilities for light and medium industries shall provide fully functional, efficient and lucrative areas with independent designations assigned to a series of sectors. The infrastructure-ready plots shall be suitable for a variety of industrial uses guaranteed to provide a wide range of manufacturing and assembling supplies and services. The zone shall also provide a logistics park perfect for storage and warehousing. Ghana shall build buildings that will last, and steel, glass and aluminium skylines will be the strongest part of the city’s brand. The new capital city shall host the headquarters of major international institutions and agencies, research bodies, and multinational corporations that have turned away from Accra due to inadequate infrastructure facilities. When we build, and build them right, they will come. Developing the cities shall reduce the pressure of development in Accra enabling policymakers to systematically redesign and regenerate Accra into a world class national capital. Ghana shall use advantages of land financing as part of the funding mix for the development of the western region cities project. With land financing, there is upfront generation of funds which reduces the burden of borrowing. Land developments shall be priced to reflect costs of accommodating growth. Several cities have managed to do this. For example, Cairo raised as amount of $3.12 billion from the sale of 2100 hectares of desert land, and another $1.45 billion from 3,300 hectares all without financial cost to Government. In Mumbai, $1.2 billion was obtained from only 13 hectares. Currently, several billions dollars are being raised in Cape Town, Bangalore, Khartoum, Luanda, Bogota, Istanbul, etc, to finance infrastructure. Each cities, with an area of 10,000 hectares (10 km square) shall generate an estimated $2.5 billion from land sales over six years. The infrastructure investments, especially transportation, telecommunications, electricity and water supply works that will be carried out in the Cape Three Points enclave shall drive up prices, and as the land values increase more than the investments costs, the public budget should share in these land value gains. The solution to breaking the problem of unemployment is industrial development. Industrialization is the only policy directive that will ensure quality employment. Industrialization will promote development of several types of employment, from highly skilled white-color jobs to blue-color factory workers. The massive real estate industry anticipated shall require a buoyant construction sector, which is a prerequisite for the success of the programme. Contractors, construction personnel and consultants shall be the bedrock of Ghana’s industrialization and modernization programme. We shall work to improve the classification system of contractors, design effective monitoring and evaluation mechanisms to measure the performance of contractors, and establish a body through an act of parliament to regulate the sector. Estimated final employment shall exceed one million by 2016, including thousands of construction-related occupations such as Construction Managers, Electricians, Carpenters, Bricklayers, Plumbers, Tilers, etc. We shall assist the Government to build national awareness of the importance of skilled workers to building the nation’s economy and send the message that careers in the skilled trades will be plentiful, lucrative, and fulfilling. The Institute shall help craft a recovery programme for the State, Corporate Ghana, and the citizens called The Grand Deal. The Grand Deal is a tripartite deal aimed at establishing a more secured nation state, ensure a disciplined citizenry, develop infrastructure, reform business and financial practices, increase productivity, and give work to the unemployed. It will modernise the industrial and agricultural sectors, reduce crime, improve credit in the financial sector, and promote development. The essence of the Grand Deal is while we need law-abiding, disciplined, educated and hardworking citizens for nation-building, Corporate Ghana and Industry shall drive the growth agenda through business innovation, while the state distributes the wealth to the people. With the Grand deal, and the establishment of industrial and manufacturing processing plants, Ghana will be generating products and creating new markets at the same time. Ghana shall trade first with itself, then the 250 million people in the sub-region, before sending the rest to the world. The Ghana brand will have a niche for quality; while excellence becomes the Trade Mark of the State. New Acts of parliament shall be enacted to support the programme and new institutions shall be incubated. These include i) the Western Region Cities Development Authority, ii) Natural Resources Authority Act, iii) National Credit Act, iv) Infrastructure Development Bank Act, v) Integrated Iron and Steel Authority vi) Aluminum Authority Act, vii) Cement Commission, viii) Land and Equity Act, ix) Tile and Natural Stone Commission, x) Construction Industry Development Authority, etc. The Railway Development Authority Act is already in place and the Government shall be supported to develop a world class railway system, a source of pride for the nation. Ghana will not only focus on an efficient agriculture and industrial economy, but also services, knowledge and innovation economies. We anticipate that in 12 years, the country shall have an efficient public sector with Ghanaians among the highest paid people in Africa. Our Institute has created a model where for example, the salary of and average teacher will increase from GHANA CEDI equivalent of $300 to $1,800 during the period under our public sector Competitiveness plan. In this globalized era, this country has no option. We need to increase the purchasing power of the average Ghanaian to enable our people purchase assets not just in Ghana, but also overseas. The public sector which promotes Government business shall be the first to reap the fruits of the Grand Deal. This is how Japan, South Korea, the United States and other developed nations developed their public sector. The combination of the State credit system, quality infrastructure, a secured State, buoyant private sector, responsible and law-abiding citizenry, expanded market, plus high rates of return on investment and large potential inflows of foreign capital shall ignite a self-reinforcing cycle of investment, development, more investment and more growth in Ghana that will signify the birth of the Ghana’s economic boom. The institutions, structures and industries that will be created will help create millions of productive jobs, and permanently raise the productive level of the Ghanaian economy. The Institute shall support the Government in the preparation and implementation of Ghana’s industrialization and infrastructure programme, drafting and sponsoring legislation, and recruiting advisors and staffers to strengthen the new bodies. The Institute shall walk hand in hand, step by step, and brick by brick with the Government to make this a reality. Indeed we shall be privileged to assist Government prepare a comprehensive national vision for this country. World-class cities are not built overnight, but if we do not start today, they would never become a reality. In city design, good things do not happen by accident. They are planned for. Our new city shall shape the character of future generations for centuries to come. Hopefully, our descendants will look back proudly from the beautiful new renaissance cities the nation has built, at our humble efforts in these times in the midst of the global crisis mankind ever faced, with gratitude that we were able to give each one of them and their children, in any part of the country they may inhabit, the opportunities to live lives worthy of the sacred creations of God. We shall not have the moment again if we let this chance slip by, if we let the beautiful lands in the lower western region develop into slum settlements.